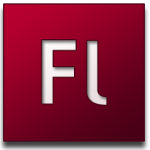 After Apple’s iPad announcemet, Adobe Flash was inadvertently thrust into the spotlight. Apple’s tablet device was pitched as the future of web browsing, but just like the iPhone, support for Flash was conspicuously absent. This led to a discussion that ultimately split many commenters into two camps; those that believe the iPad’s lack of Flash makes it an inferior web browsing device (despite what Steve Jobs wants us to believe), and others who feel Flash is so detrimental to the web that the iPad would likely be better off without it. Even before the iPad’s announcement, it’s generally been in vogue to criticize Flash for its masterful ability to hog your resources, or its overall instability. While I can’t deny that Flash is far from a perfect solution, it’s worth remembering Flash’s positive contributions to the internet, along with the bad. What follows is a collection of what I consider Flash’s most important contributions to the web, as well as several ways it hurt the web and the way we use it. Think back to a time before Flash video was a media staple across the web. There was Apple’s Quicktime format, which was high quality, but led to large video files. The format also never streamed as well as Apple would like us to believe. Windows Media Video was another option, but it shared similar streaming problems to Quicktime, and also never played very well with Macs. And finally there was Real Player, which was one of the better streaming options for some time, but it never scaled well to high quality video. As explained in this great piece on the rise of Flash video, it was a combination of several elements that prevented any of those video formats from ruling the web. They weren’t snappy enough to deal with broadband users who expected their web video to load quickly. They weren’t flexible in a time when web developers wanted more control over their web content. And finally, they weren’t easy to use, since each format relied on different plugins and codecs. It was a time when you would almost be guaranteed to run into some sort of error when trying to play a web video. What we needed was one video standard to rule them all. 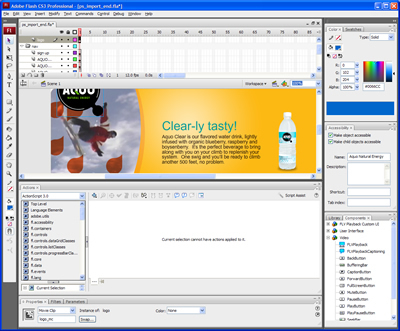 With the introduction of the FLV format in Flash MX, along with further improvements in Flash Professional MX 2004, Flash quickly became the format of choice for web video that “just worked”. It offered relatively small files, didn’t ask for obscure codecs, and it worked well across all major platforms. After web users adopted Flash Player 7 in record numbers, and Flash ended up becoming the format of choice for MySpace and YouTube, there was little hope that web video’s old guard – Microsoft, Apple, and Real – would make a comeback. Since then, Flash video has spread like wildfire across the web. And it will likely remain the video standard until HTML5 video finally takes off. Before Google showed us what was possible with AJAX – the technology that has powered Gmail since 2004, and Google Maps since 2005 – Flash was one of the only ways to implement interactivity on the web. It allowed for the rise of Flash games, animated shorts like The End of the World, and the on-going web property Homestar Runner (whose website is also a good example of how Flash helped the web be less static). The rise of Flash also meant that we could give up on clunky Java applets that offered similar interactive functionality. With a combination of AJAX and HTML5, we’ll see less of a need to rely on Flash for interactive elements soon. Somewhat a combination of the above two points, Flash allowed for the development and widespread adoption of sites like Ustream and Justin.tv. Sites like these have allowed for trouble-free webcam broadcasting. Instead of using a video chat application like Skype, you can simply log into the site’s interface, and instantly start streaming video from your webcam. Of course, the video gets broadcast out as Flash video – which brings all of the benefits of the format that I discussed above. Looking back at the former video standards on the web, it’s clear that none of them would have been able to accomplish these sorts of broadcasts as easily as Flash. These sites are probably most famous among office procrastinators for the Shiba Inu Puppy Cam. Ustream has also been used to stream major events like the 2008 U.S. Presidential Election. Before Flash proved itself worthwhile by taking over web video, it was mainly used by web designers and advertisers to spruce up content – usually in terrible ways. The various Flash Player plugins – which spanned all of the major browsers and computing platforms – each seemed to come with their own quirks that would lead to Flash being a resource hog, or just generally unstable. It’s gotten better over time, but even to this day my Firefox installation crawls when visiting certain Flash heavy sites. I’ve since moved over to Chrome as my primary browser – which has the nifty capability to kill unruly plugins like Flash without shutting down the entire browser. With the good aspects of interactivity mentioned above, come the terrible ones. Flash has led to poorly designed sites that don’t give a second thought to usability, and that also break some core web browsing functionality. But the worst Flash offender would have to be ads, in all of their shapes and forms. Not only did Flash bring sound, video, and interactivity into banner advertisements, but it also allowed for the monstrous ads that have come to overwhelm many popular sites. Flash ads also aren’t content to annoy you with media alone – they often manage to block out exactly the bit of content you want to read. The proliferation of Flash ads has also made the already unstable platform even more prone to resource trouble and crashing. I’m not going to make the argument that Flash should go totally open source, because as Adobe explains, it’s not really feasible. Instead, I’ll simply say that it’s a shame official web standards are taking so long to catch up to Flash’s capabilities. With the rise of HTML5, web browsers will natively support animations via the Canvas element. And video sites like Youtube and Vimeo are already testing HTML5 versions of their video players to replace the Flash player. Unfortunately, we won’t really see these HTML5 elements working in full swing for a couple years, so our addiction to Flash will continue for some time. It remains to be seen if Apple can continue holding out on Flash support for the iPhone, and now the iPad. Despite what Steve Jobs would have us believe, browsing the web on a tablet without Flash support is not “the best way to experience the web.” For all the issues you avoid by not supporting Flash, you also end up with a platform that can’t play most web video or animations. Apple will also soon have competition with upcoming Android-based tablets, which tout Adobe Flash and Air support as a feature. In short, while it may be trendy to criticize Flash (and it definitely deserves much of that), it’s important to take a step back and also remember the good it gave the web. Personally, the negative aspects of Flash don’t detract from the fact that it was exactly the technology we needed to evolve the web over the past decade, before better standards came along. I don’t consider myself a Flash fanboy, but I recognize its importance all the same. With HTML 5 coming down the pike, along with the increased pressure to move towards standards that are more friendly to all platforms (Flash isn’t very Linux friendly), we will likely see less reliance on Flash over the next few years. I won’t necessarily miss all the problems Flash brought to the web (and my computer), but we should recognize its passing as the end of an era. 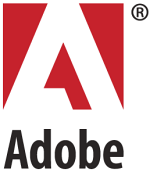 Adobe says that they think Flash is open, even though many of the comments point to the contrary, and you just buy it and say it isn’t feasible? Flash has brought us places, yes, but its time to leave it behind for something open and Free. I really really hate Adobe’s Flash Technology and its desires to fry my CPU. The solution is something like HTML5 with OGG support. Nice piece, Devindra. There’s no question that Flash is an important component of the Web. But it’s still only a small component with respect to serious content (i.e. I can easily do without the ads and the flash-but-no-substance web sites! 🙂 There is an increase in the number of developers using Flash for infographics, e.g. the excellent NY Times team, so it is unfortunate that Apple is not including Flash in the iPhone/iPod Touch/iPad. But your article should have mentioned that this device family does understand Flash video, though they handle it by kicking it out to a separate app. Not ideal, but not terribly disruptive either, given the limited screen real estate. In any case, Apple clearly felt the need to make YouTube available to their users, so they are not completely blind to this technology. @Lefty: The point is that Flash in its current incarnation relies heavily on licensed technology, it can’t be fully open source. @Andy: Good point about YouTube, but it’s important to note that it works on the iPhone without Flash. The YouTube app accesses the H.264 video files directly, so it has no need to rely on Flash. Devindra: thanks for the correction. At first I thought this would be bad for Flash/Adobe: YouTube helped establish FLV, and it’s now offering a competing format that’s an open standard. But even though it’s open, H.264 is still patented, and browsers like the open-source Firefox are at a disadvantage since they don’t have the $ to pay for the right to use the codec (Safari and Chrome do). Interesting Guardian article here: http://bit.ly/5q53FL .